What Will Happen if the Mhangeni and Ntsevu Prides Meet? This isn’t the first time a group of lions has split from their natal pride and formed a new one. Nor will it be the last. Environmental conditions and pressures that are forever in flux mean that animals will constantly be deviating from the rule book. Research of lion prides that have split shows that after two or three generations, when the genetic divergence between the prides is significant enough, the initial overlap of territories that most likely occurred after the split will cease, and the prides will be completely independent and isolated entities. The Mhangeni and Ntsevu prides are a funny one. When the Ntsevu females were forced into independence once their mothers began reproducing again, they pushed east fairly quickly and ousted the much weaker Sparta pride. As a result, these six lionesses now control prime territory along the Sand River in Londolozi’s East and Mala Mala’s West. 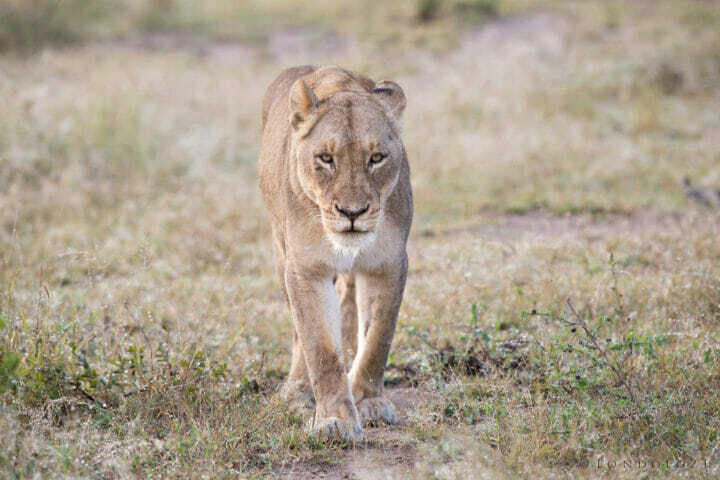 A Mhangeni lioness, far behind what are essentially enemy lines, moves through Ntsevu territory. The Mhangeni females (mothers of Ntsevu females) meanwhile have pushed their second batch of offspring into independence and are mating once more. 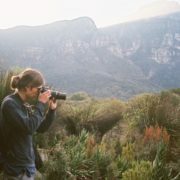 Things are slightly different now though, as their previous males, the Majingilane, are recently deceased, which leaves the Mhangeni lionesses with scant options when it comes to dominant males. 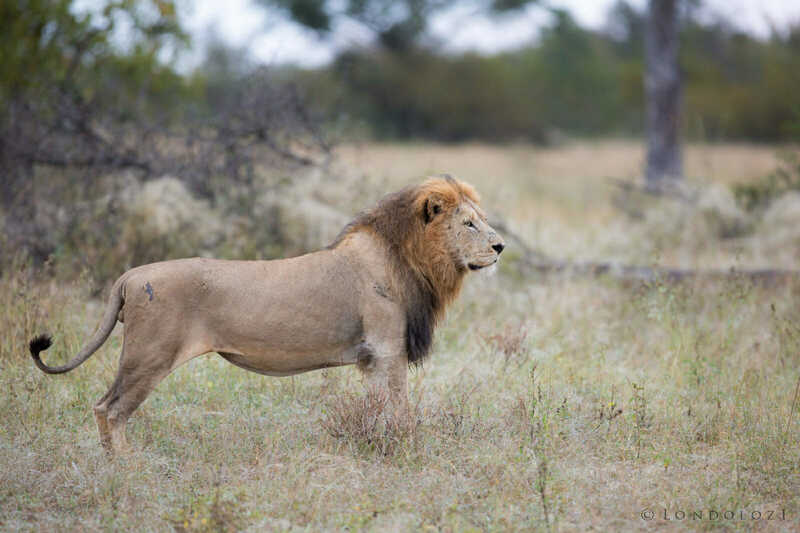 The Matimba males have reportedly moved into the western sector of the Sabi Sand reserve, but my gut feeling is that they will want to stay far west, avoiding the threat of the four Birmingham males to their east. 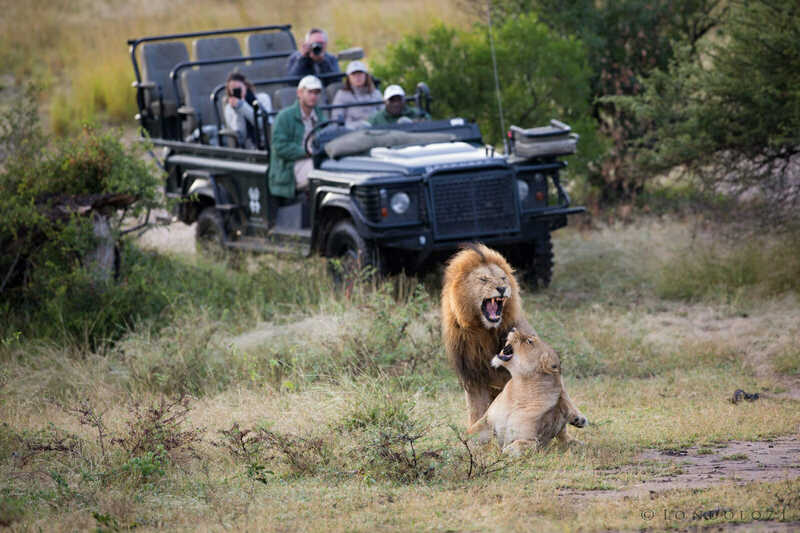 The Birmingham males have yet to lay claim to western Londolozi and effectively cover the Mhangeni pride, but one can’t help feeling that it is only a matter of time. The Mhangeni pride, sitting on territory that essentially lies between the Birmingham males and the Matimbas’ new areas, have been forced to venture outside their usual patrol areas in order to pair up with males for mating purposes, and recently we have been seeing them coming east more and more. 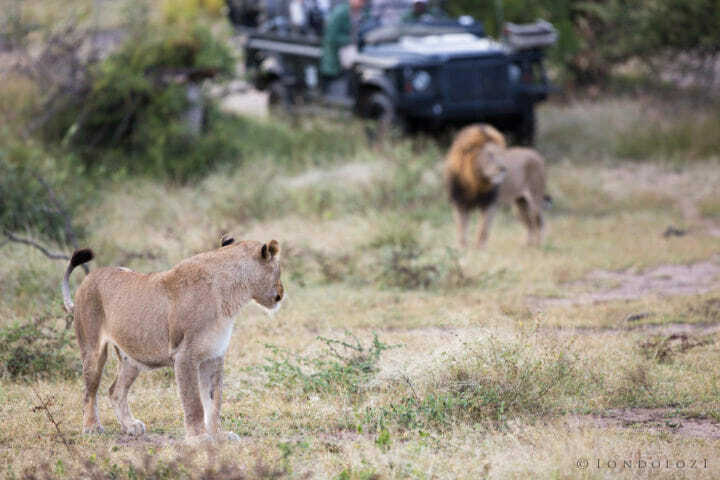 A Birmingham male mates with a Mhangeni lioness near the Londolozi airstrip, while ranger Rob Jeffery, tracker Judas Ngomane and their guests look on. At the heart of Londolozi lies what has essentially been a lion-less void for the last year or so. Although various prides have moved through, there has been no mainstay group laying claim to the area, and it forms a sort of no man’s land between the Ntsevu and Mhangeni prides. With multiple females from both groups mating with the Birmingham coalition at the moment, and the Birmingham males roaming all over the show, moving regularly between different lionesses, a clash of some sort between the lionesses seems almost unavoidable. The rough Mhangeni pride territory is in purple, Ntsevu territory in red. This leads us back to the first few points, with the key one revolving around the recognition between individuals of split prides. Just how violent would an altercation be between Mhangeni females and their daughters the Ntsevu lionesses? Would a clash over males be as serious as a clash over food? If there is nothing immediately at stake, would numbers have anything do with it (the Mhangeni pride is suspected of being down to three lionesses now, while the Ntsevu lionsees are still 6-strong). If one thinks a meeting-up would be without violence, let us not forget that the Mhangeni lionesses were suspected of killing the original Tailless female, who raised them from sub-adulthood into independence. After mating, this Mhangeni lioness continued to move back west, towards her pride’s normal territory. Every lion question poses 10 other questions, which will each in turn spark 10 more. All I know is with a whole host of mating pairs having been viewed over the last week or so, it’s becoming increasingly difficult to identify exactly who’s who amongst the females, and as incredible as it is to witness mating lions in the wild, we can’t afford to be jumping to conclusions when it comes to identification of individuals, as the current period is likely to be a major crossroads in the futures of both prides. And, most likely, in the genetic lineages of the males. on What Will Happen if the Mhangeni and Ntsevu Prides Meet? The lion dynamics are crazy. Was the one Mhangene female killed? Will the Mhangene pride know that the Ntsevu pride females are their daughters? Were the last Mhangene offspring farthered by the Majingilane? Thank you James. I have just read that the Mhangene sub adults has been seen in the south of the reserve where they managed to find a buffalo that died from natural causes. They are apparently struggling to hunt and get a decent meal. I’m sure that’s just their inexperience showing through. Yes, I heard they’ve been seen on Sabi Sabi recently. Fascinating, the only constant is change. Look forward to reading more. Great article. Remembering the dynamics between late Majingilane and the 2 remaining Matimbas, the Mhangeni (Original) could well initiate a war between Matimbas and Birmingham’s… But at the moment Matimbas are only busy with Othawa females.. Time will tell. And the Mhangeni will go to mate with them after they are done with Birmingham’s. Wow small world! Goodman was our guide when we visited Wilderness’ Savuti camp a couple of years ago. He was great! Hopefully see you down at Londoz. Which camp are you staying in? Varty camp. Guide Grant, tracker Jerry. Saw mating lions last night (eventually elephant herd arrived and ran them off), croc swallowing impala skull, and followed three businesses in the hunt after sunset. Great start! Nice one Phil. Grant told me about the Impala skull being eaten by the croc! Sounded like a pretty awesome evening! Having spent time with the Mhagene pride (16 strong at the time) the moms seemed to be a serious group, intense and always watching out for their cubs. It will be interesting to see if they successfully extend their presence with the addition of more cubs fathered by the Birmingham males. I know you’ll keep us posted. Are they still moving across territory boundaries such as Singita and Mala Mala? 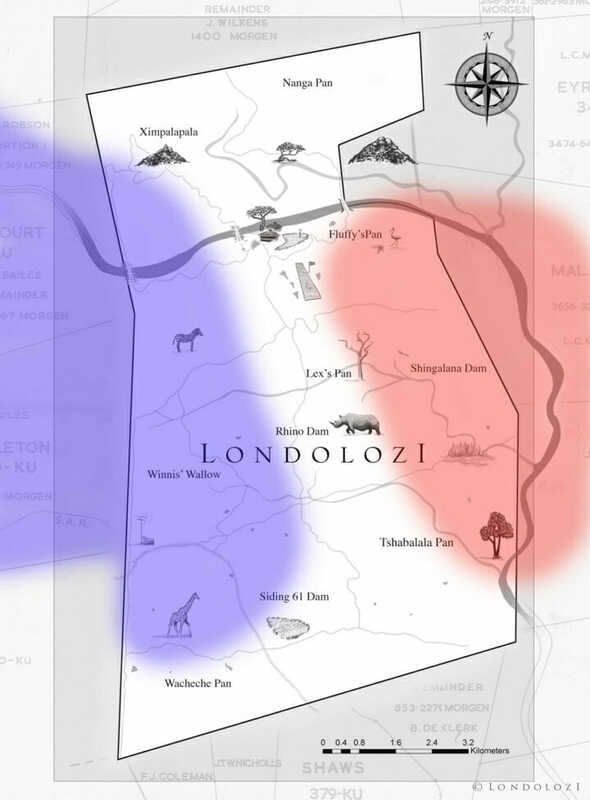 It’s interesting that’s there’s a gap between the two prides territories that no lion has settled on, maybe it acts as a sort of buffer zone between the two prides? Interesting. I wonder if it really is a lions No-Man’s Land or whether it’s not a good territory? This could definetely lead to confrontation, with the females from these prides all courting the Birmingham Males (could see a baby boom in a couple of months!). The boundaries between their two territories could start becoming blurred. Thanks for the map James, it helps a lot to see and understand the dynamics.